One Tree Holocene reef drilling project begins. 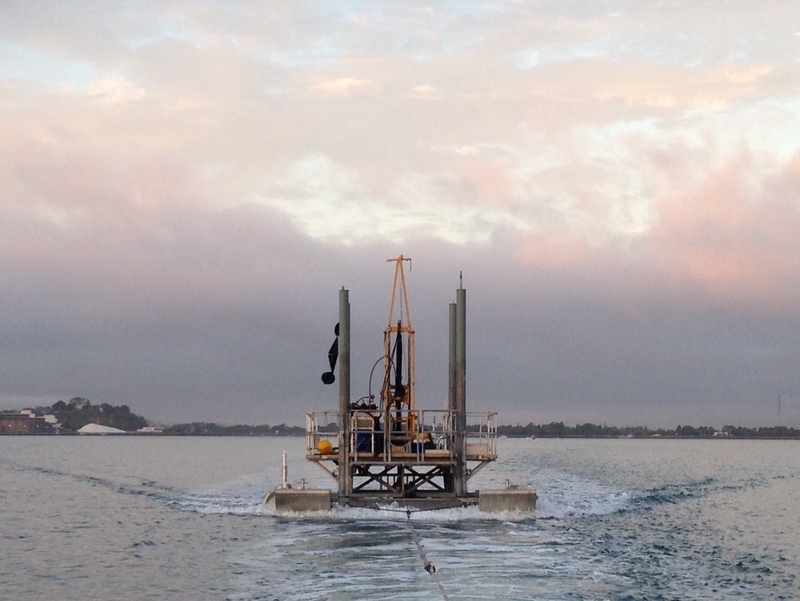 Today the valiant team led by Dr Trevor Graham (UQ/GeoCoastal Group) successfully towed the drilling platform from Gladstone to One Tree Reef (see the pic). Just getting the platform there was a huge effort so well done to Trevor and Kent! This project is part of a joint USYD/UQ/QUT Australian Research Council Discovery (ARCD) supported project to investigate the growth of Heron and One Tree reef over the last 9 ka. Very little is known about how the Great Barrier Reef (GBR) has responded or may respond to predicted environmental change and/or degradation. The goal of this project is to recover transects of cores up to 30 m deep to reconstruct the recent biological and physical history of reefs in the southern GBR in order to better understand how they may react to future environmental changes. Phase 1 was completed successfully last October at Heron and now Phase 2 will take place at One Tree over the next month (Aug 28-Sep 25). The USYD team (Jody, Belinda, Steph, Kelsey, Madi, Bev), along with our collaborators from UQ and QUT, will be working together on the drilling campaign over the next weeks. Wish us luck (and great cores!) and we will try to keep everyone posted on our progress.